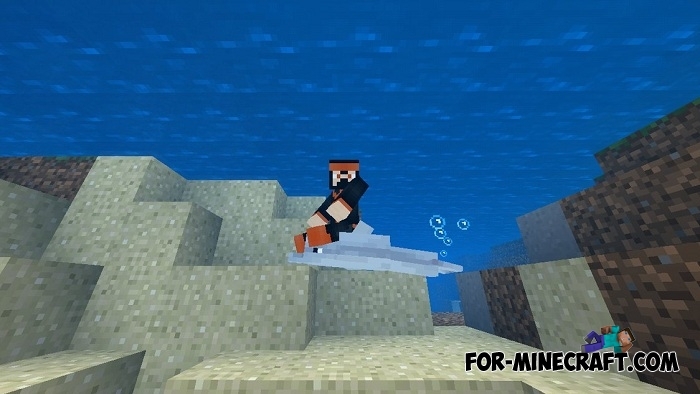 According to the developers, dolphins in Minecraft Bedrock will receive a very useful feature due to which you can easily reach treasuries in the oceans. 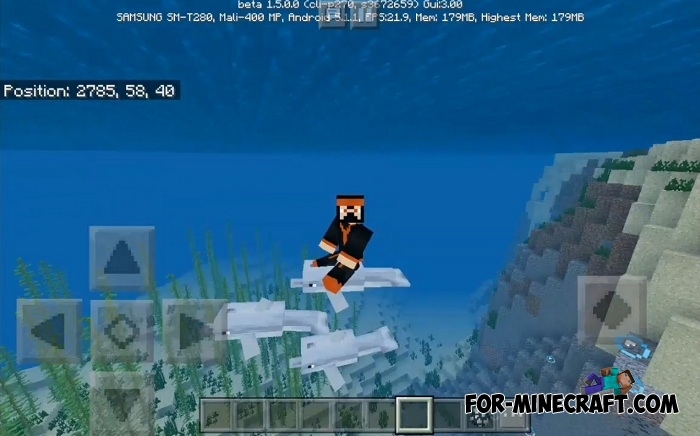 Most likely any MCPE player will be able to hold on to the dolphin fin and swim together. 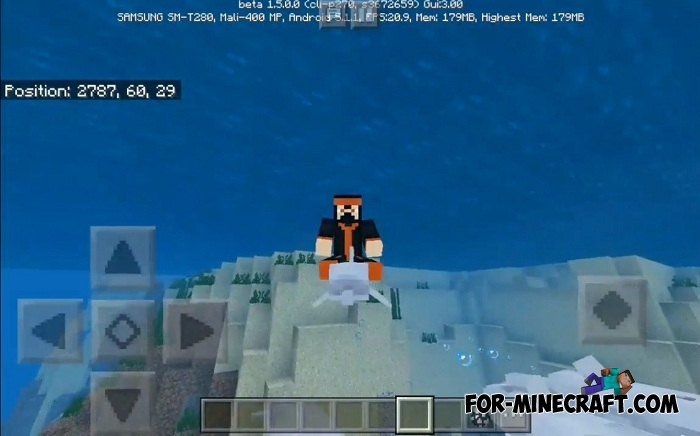 But until now this possibility is still in the plans and will be implemented in the release version of the game (most likely it will be Minecraft 1.5). In the meantime, dolphins can search for treasure, for this you need to feed them raw fish and they will go to the nearest structure. 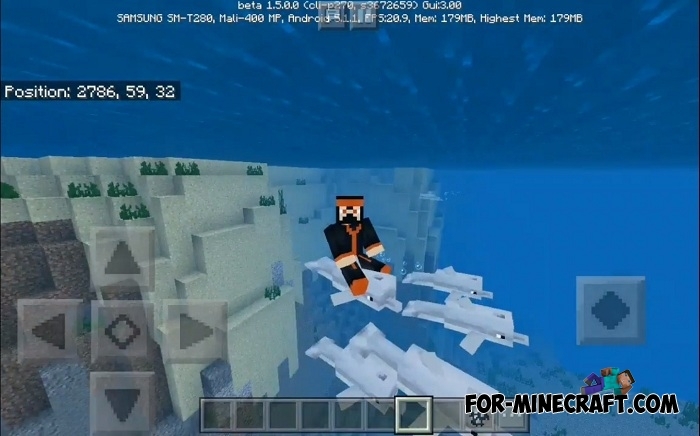 In order not to swim for the dolphin and not lose sight of it you will need this addon. Fixed a bug with the distorted position of the player on the dolphin. 1. Find one dolphin in the oceans. They live in warm biomes. 2. Swim to it and click the Ride button. 3. Feed it a fish if you want to go to the structure. How to install the Ride a Dolphin addon?